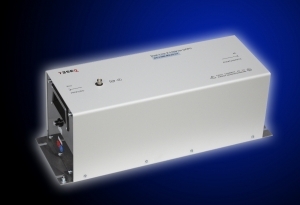 TESEQ, a developer and provider of instrumentation and systems for EMC emission and immunity testing, has introduced a new Line Impedance Stabilization Network (LISN) for conducted emissions testing of Grid Connected Power Conditioners (GCPC). The DC-LISN-M2-25-V1 is designed for measuring unsymmetrical disturbances on DC power ports in the frequency range from 150kHz to 30MHz. Research results have shown that a typical artificial mains V-network as described in CISPR 16-1-2 cannot be used for the assessment of unsymmetrical disturbances of a photovoltaic inverter’s DC port. CDNs based on IEC/EN 61000-4-6 are typical not specified for high common-mode currents and differential mode disturbances. Additionally, they are undefined below 150 kHz. The TESEQ DC-LISN-M2-25-V1 provides enhanced LISN performance with a common-mode impedance of 150Ω and a differential-mode impedance of 100 Ω. Further, the DC-LISN offers defined termination impedance in the frequency range of 1kHz to 150kHz. The DC-LISN-M2-25-V1 conforms to the requirements of AK 767-11-13-2010-0079 published in December 2010 by the German standard working group 767.11.13 – EMC of Grid Connected Power Conditioners – GCPC.